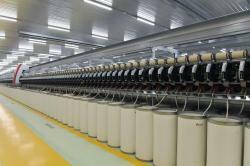 Minister of Economy Shahin Mustafayev and project manager Mehriban Akhundova informed the head of state and his wife that the National Fund for Entrepreneurship Support of the Ministry of Economy allocated a 10 million manat soft loan to create plants with a total cost of 144 million manats. 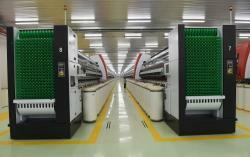 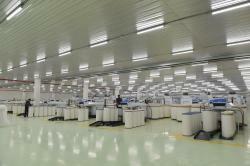 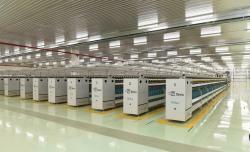 The state-of-the-art plants are supplied with equipment of leading companies of Germany, Switzerland, Spain and Japan. 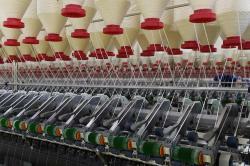 The plants will have an annual production of 20,000 tons of yarn, including 10,000 tons made through Ring method and 10,000 tons through Open End method. 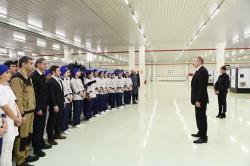 The head of state and his wife posed for photographs together with employees. 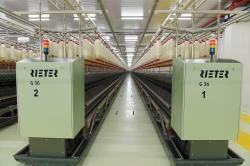 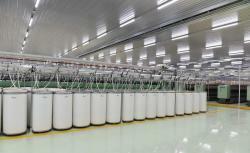 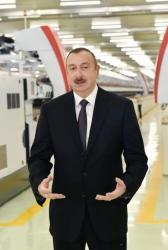 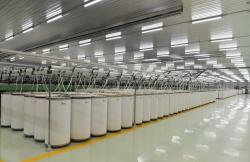 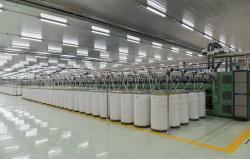 President Ilham Aliyev then launched the Open End method yarn production plant. 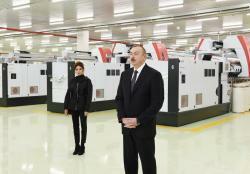 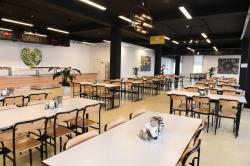 President Ilham Aliyev and First Lady Mehriban Aliyeva toured a canteen. 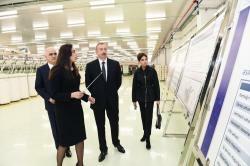 After familiarizing themselves with the new plants, the head of state and his wife met with employees and representatives of local public. 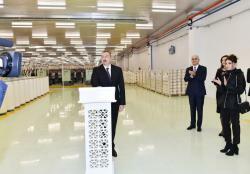 Employee Huseyn Hashimov thanked the head of state for supporting construction of new plants and his attention to the development of the city.